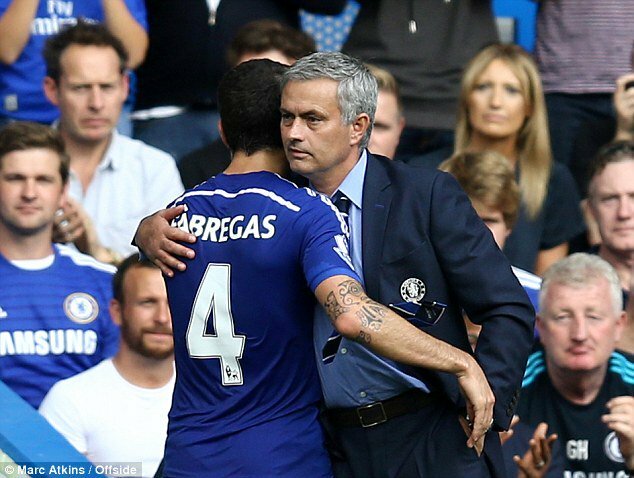 Chelsea midfielder, Cesc Fabregas has denied rumours making rounds that he is leading a revolt against the club’s coach, Jose Mourinho following the Portuguese’s treatment of the former team Doctor, Eva Carneiro. Below is a report fromThe Secret Footballer. “Since that moment [Eva Carneiro], Mourinho’s ego has been hurt and has demanded that he reinstate the presence that he had before. His ego is why he didn’t apologise, when he most certainly should have. What has happened since has been the total and utter abandonment of Mourinho and his philosophy by the players.Mourinho is bang to rights and the players know it, so they are now trying to make their point on the pitch.I have it on the best authority possible that the players have told the manager that they hate the way they play. The Spanish footballer however took to his official twitter account to set the records straight.